The Internet, especially Pinterest, has brought us so many great ideas. Unfortunately, I sometimes read the instructions AFTER I attempt to recreate something I’ve seen and realize I’ve missed an important step which would have really simplified the process. 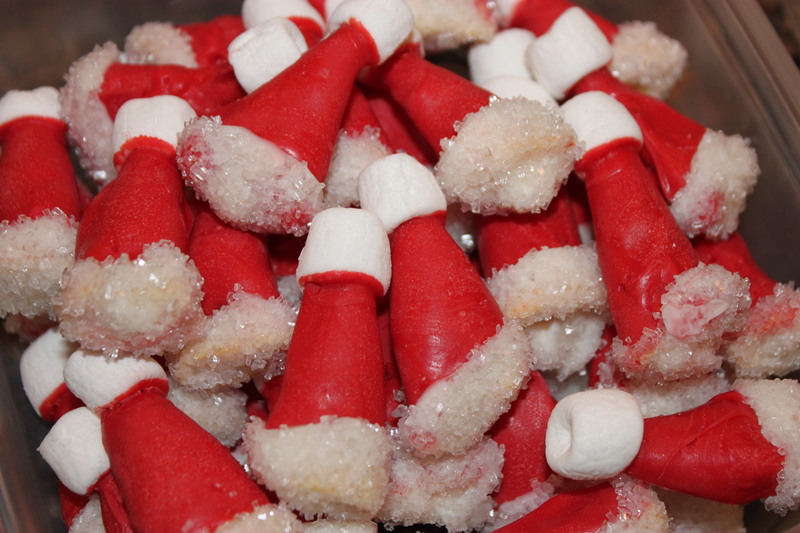 In the case of these genius candy Santa hats, I should have added a little shortening to thin out the red candy coating, making it easier to dip. I read that in the instructions after I made them. These are a lot of work, but they actually are really delicious – a wonderful combo of sweet and salty. 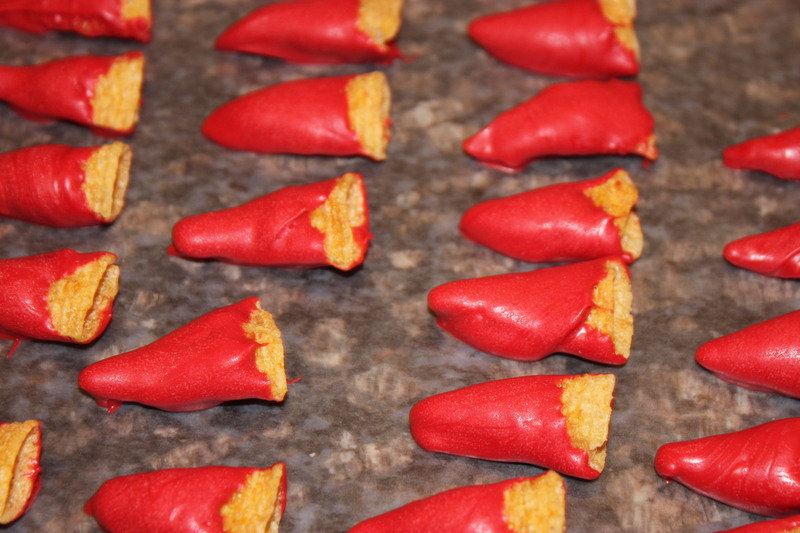 Melt the red candy melts in the microwave. 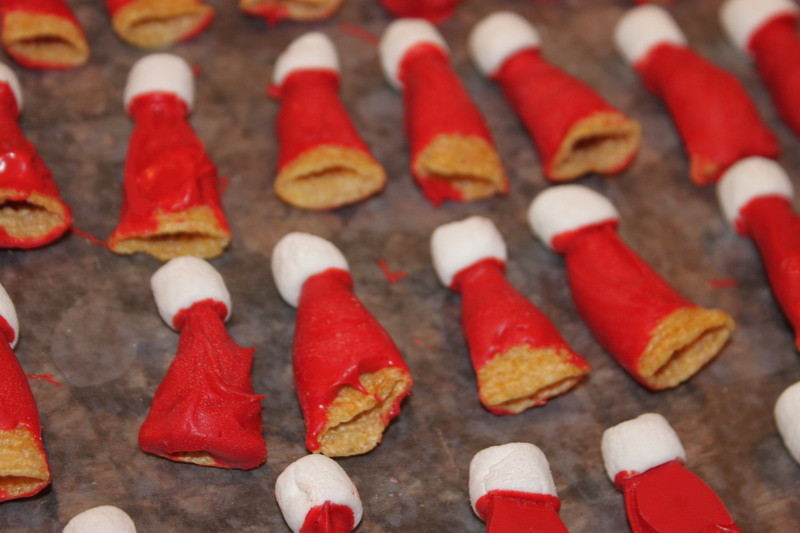 Holding just the wide end of the bugle, dip the cone into the melts and place on wax paper to dry. 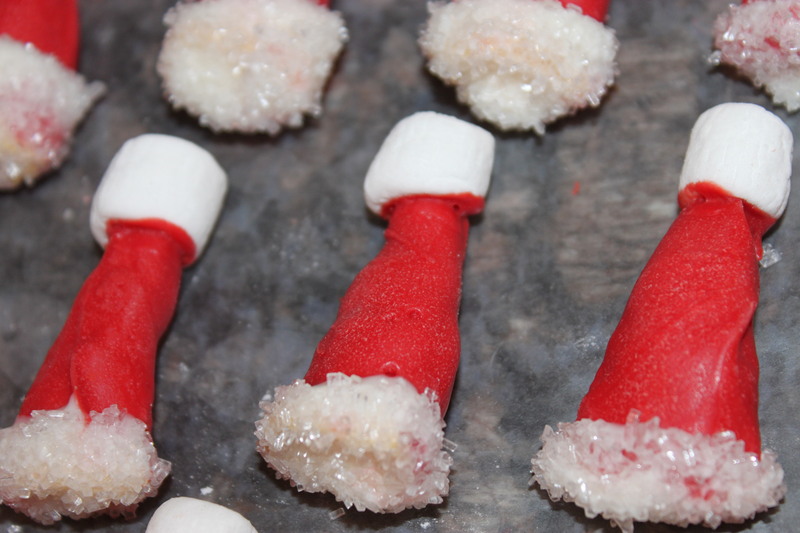 Once the red candy has hardened, add a bit more to the tip and stick a mini marshmallow to the end of each. Allow this to dry as well. Now melt the white almond bark and dip the uncoated ends into the bark, then immediately in the white sprinkles or sanding sugar, and allow to cool again. 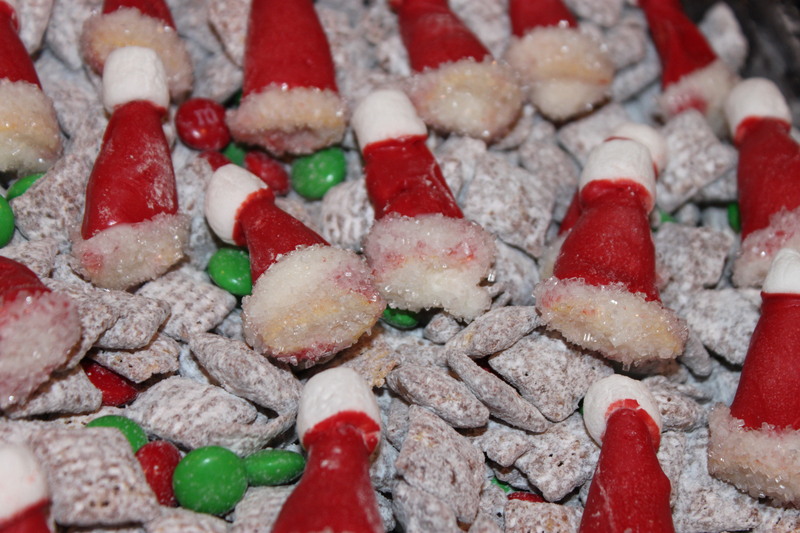 If you want to make the most of these, toss them into some “muddy buddies” with red and green candies.